It is amazing to reflect on the past year of blogging and all that it has brought for Erin and I. I don't think I ever crafted as much as I did in the past year! I learned so much about making quality items, about myself and what I will actually keep, and most of all how to take good quality pictures of the things I was making! Our posts have come so far since the very beginning. 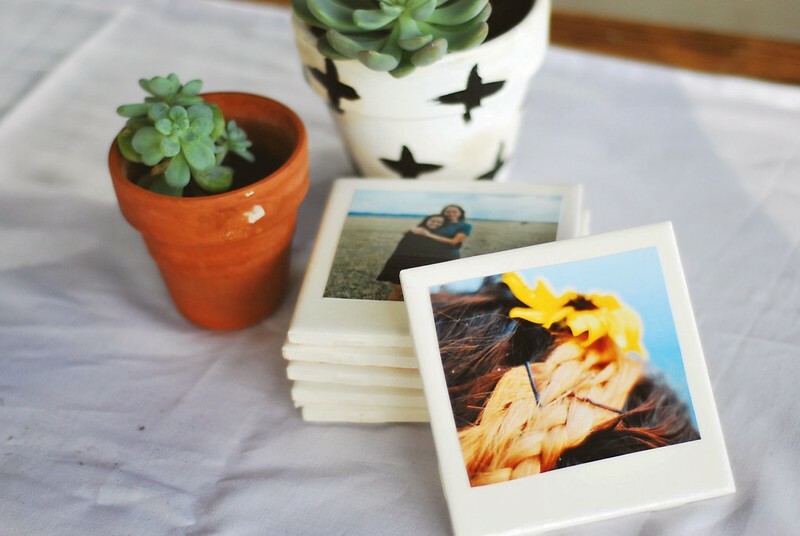 These Polaroid coasters were some of my favorite things that I have ever made...ever! 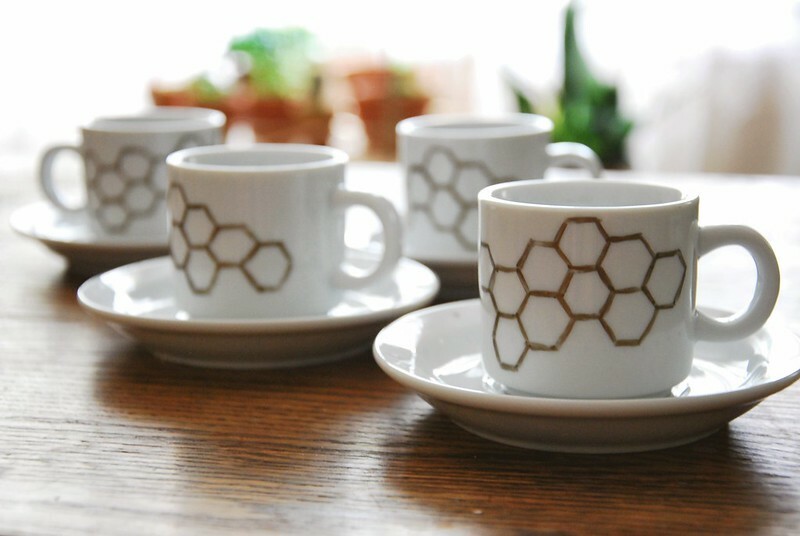 They turned out so cute and they were incredibly cheap to make! They would also be pretty fun to make as gifts for other people! I was so glad when I finally found a pre-sliced log at Joann's. 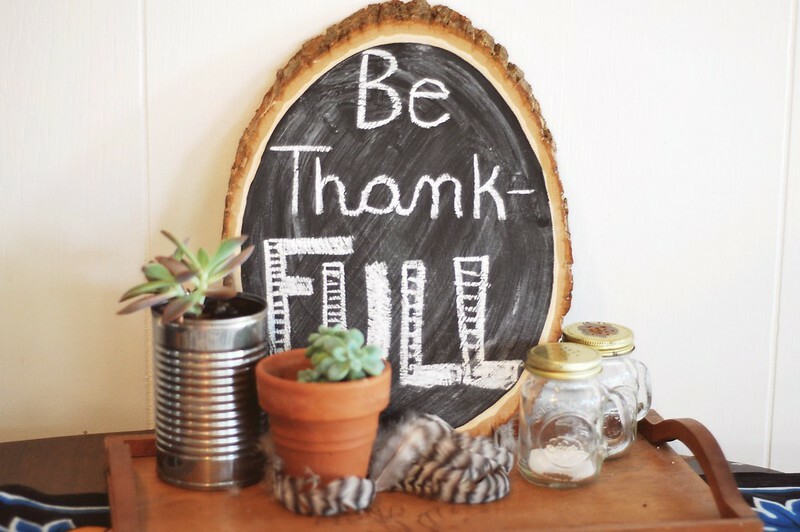 I always knew that I could cut my own, but making this wood slice chalkboard was just so dang easy! I love the way it worked out and I can't wait to work it into my ever changing decor. As the summer ended it was finally time to start bringing all my succulent propagation experiments inside. 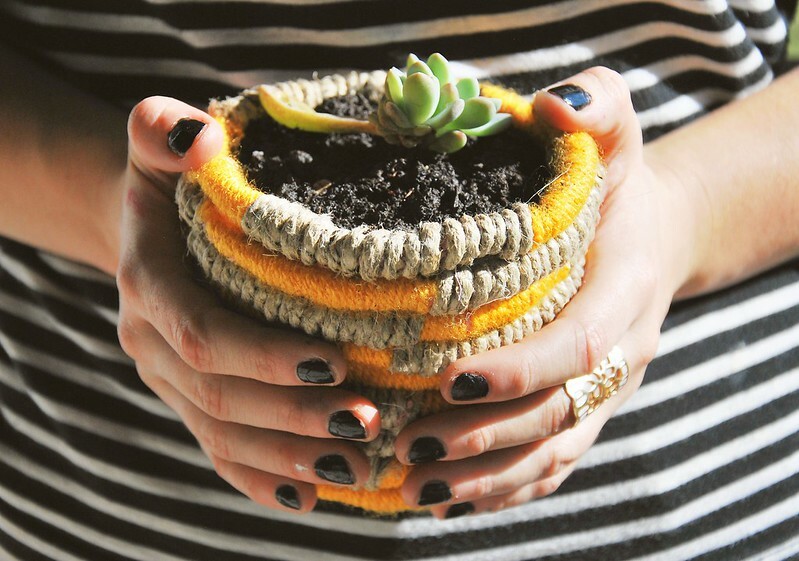 I made these adorable little hemp and yarn planters to give them a nice home inside. 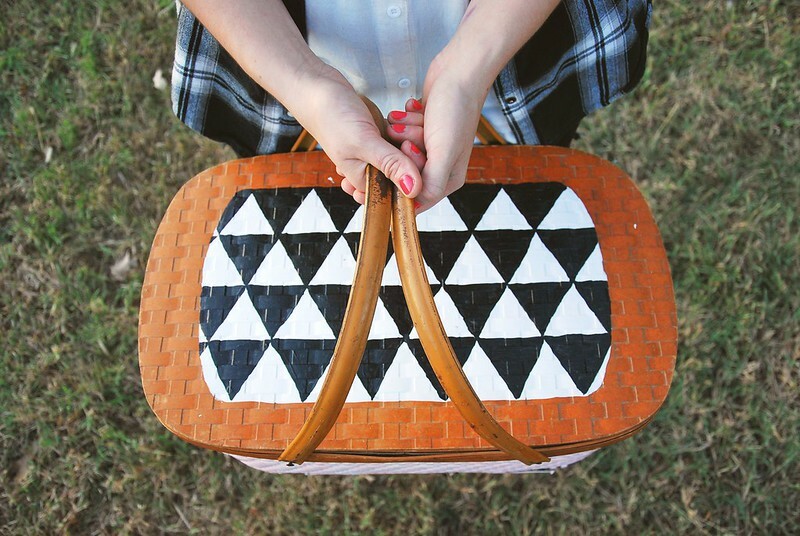 We get so many compliments on our restyled picnic basket when ever we bring it out and about! We just love it so much. It is amazing what a little bit of paint and patience can do! 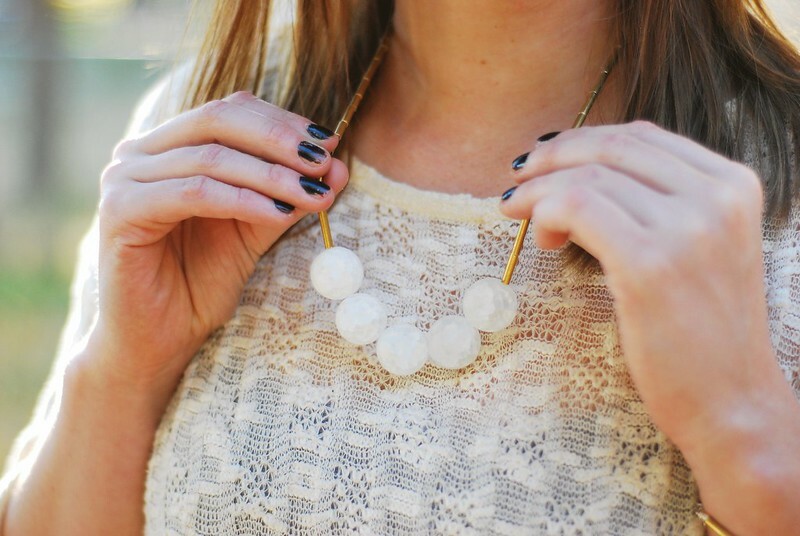 One of our favorite crafts from this past year, strictly because of how beautiful it turned out, was our lunar necklace DIY. It seriously turned out so pretty and from items found at our local hardware store (and Joann's of course). We cannot wait to get crafting now that it is 2014. 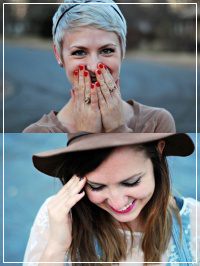 Our second year of blogging is sure to bring some fun things! We already have so many ideas planned! Anything you guys want to see? i always love all of your crafts! so cute but not "cutesy", if that makes sense. thanks girls! I'm new to your blog, stumbled on it from a beautiful mess. I love the projects that you have made! I am definitely going to be one of your new readers. I am loving those polaroid coasters! That is definitely something that I want to make for my family members for the holidays. I think they'll love it ! great projects! love, love your style(s).. I absolutely LOVE those coasters!